Madhya Pradesh Vyavsayik Pareeksha Mandal, Bhopal conducted the written entrance exam for admission to Veterinary and Fisheries programme. The entry-level test was held in May 2019 (Sunday). Those keenly waiting to check their status in MP PVFT Result 2019 should go through this update and gather more details. Follow the authenticated link to get to MP PVFT Result 2019 Pre Veterinary and Fisheries Test Cut Off online. Madhya Pradesh Professional Examination Board is an autonomous body that conducts recruitments and entrance exams for various colleges and Universities. Madhya Pradesh Pre Veterinary and Fisheries Test is carried out by the board on behalf of Directorate of Technical Education for admission to the diploma courses offered to the admission seekers. The examination has been conducted and all the latest news are available here regarding MP Pre Veterinary Test Result. Check the recent update as Madhya Pradesh Vyapam has successfully held the entry-level test in 2019. The next update to arrive is for MP PVFT Result 2019 which is to be released in June tentatively. This Pre Entrance Test was carried out among the 12th passed science scholars and was based on the subjects Physics, Chemistry, Zoology, and Botany. Please remain aware of this notification and visit the mainstream link provided here. The written test was an objective type with a total of 200 marks each section having 50 marks maximum. Though the rank card will be generated for each attendee separately, MP Vyapam Pre Veterinary and Fisheries Test Cut Off will also be pivotal in deciding the students’ status. The leading factors that will be helpful in deriving the cut off are the number of questions attempted, total examinees, complexity level of exam, and the category applied for. The expected cut off has been mentioned category-wise in the following sections. Please note that the cut off percentage is not official and may not be accurate as that of the final cut off. The statistics have been made by exam analysts and experts. 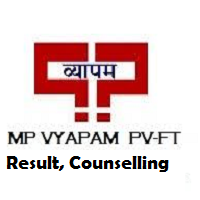 After the declaration of MP PVFT Result 2019 online, the Directorate shall notify the qualifiers of entry-level exam about counselling process and seat allocation. Students are instructed to prepare their documents and be ready to participate in the counselling. There will be a limited number of seats for this year admission. Log on to the primary web address of the board mentioned, “www.peb.mp.gov.in” and refer to the MP PVFT Results section. Find the PVFT exam link and follow it to the login page. Type your Registration No, Enrollment Digits, DOB, and Password. Push the submit button and obtain your scorecard. Verify your exam results status and keep the Merit List printout for future use. Get through the guidelines provided above to download entrance exam results using the right web address. Take further support from the link given at the end of this page. If readers have any problem or discontent towards this update, they can leave their comments in the text box at the end of this article. Once the rank card or merit list pdf released by the association via online mode, then it is the time for conducting the counselling process on a large scale. Those contestants who pass the examination need to attend this counselling procedure if you want to get the admission in a suitable college. The students have to wait for all the three lists of counseling in the form of rounds.